Now something of a Celtic/Romany troubadour, the Kirkcaldy-born Leven returns with his umpteenth solo album. Opening with the gun-tottin’ title track, and featuring guest vox from his absinthe-guzzlin’ buddy, American country star Johnny Dowd, JL also namechecks a certain English thespian on a Willie Dixon-cloned number, ‘Olivier Blues’. They are primarily songs of redemption and sadness, casting a shadow as long as Jackie’s 58 years on earth. Other highlights include ‘I’ve Passed Away from Human Love’ and ‘The Dent in the Fender and the Wheel of Fate’. 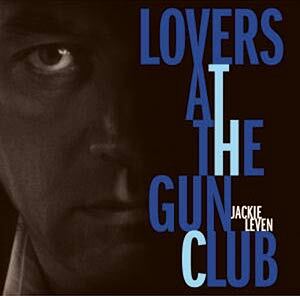 But just why did Leven and co tag on the Springsteen-esque David Childers song ‘Heart In My Soul’ at the end?